I have been a wedding officiant in Los Angeles for many years. I have officiated all kinds of civil weddings and religious weddings all over Los Angeles County and Orange County including many Long Beach wedding locations. Some of those weddings have been at Hyatt Regency Long Beach which is a wonderful Southern California wedding venue that you might consider for your wedding. 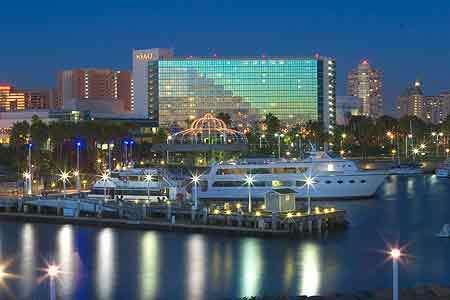 The Hyatt Regency Long Beach has a private lagoon, an elegant gondola, and beautiful Japanese bridges. Imagine the beautiful photographs of your Long Beach wedding and reception with breathtaking views of the Pacific as your background. You may be planning a quiet and intimate gathering of close family and friends or a detailed theme wedding for hundreds. No matter how small or large, Hyatt Regency’s dedicated team of professionals will take every measure to ensure that your wedding and reception are everything you envision. 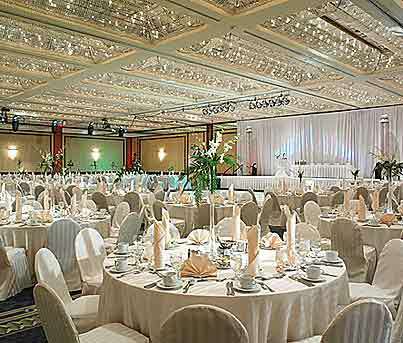 Every wedding couple is provided with a designated wedding coordinator and a professional catering manager. They will help you choose your ceremony and wedding location from among numerous settings. You may choose a site overlooking the Queen Mary, Catalina Island or the Pacific Ocean. You can choose from an enticing array of cuisines. Your wedding guests will be able to stay in one of the luxurious guest rooms at the Hyatt which is accessible to a wide variety of entertainment and dining options. When you are planning your wedding and reception in Long Beach or anywhere in Los Angeles or Orange County I strongly suggest that you consider the Hyatt Regency as your wedding venue. And please consider one of the most popular wedding officiants in Southern California, the Officiant Guy, as your wedding minister.